Laser leg vein removal offers a non-surgical solution for removing spider veins and deeper reticular leg veins in less than 30 minutes, with immediate and long-lasting results. More importantly, it is an alternative to surgical leg vein removal, since it leaves no incision scars and does not require lengthy recovery. The laser handpiece will deliver pulses of light energy into your skin, which will be absorbed by the blood within the vein being targeted while leaving the surrounding skin unharmed. Once the blood absorbs this energy, it will coagulate, causing the vessel to constrict and eventually fade from view, leaving your legs looking clear and as beautiful as ever. Leg vein treatments with our Icon™ laser are safe and comfortable. The specifically designed handpiece delivers the light energy in one smooth, gentle pulse, to protect the skin from any temperature rise. In addition, a chilled tip on the handpiece cools the skin during the treatment, both protecting your skin and providing a comfortable treatment. Before your Icon™ leg vein treatment, your medical practitioner will typically apply a gel to the area being treated. This will help ensure the laser energy is delivered appropriately, and will also help cool the area during and after the treatment. 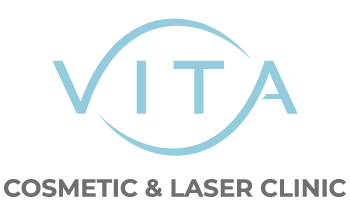 The practitioner will begin the treatment by moving the laser hand piece over your skin, following the length of the vein and pulsing the energy as they go. You will be provided with safety goggles before the treatment to protect your eyes, but you may still see flashes of light as the laser energy is being delivered to your skin. You will also feel a mild sensation and heat on the skin during the treatment. Your practitioner may cool the area after the treatment using a cool roller, cold air or ice packs to help alleviate any discomfort. Post-treatment, the blood vessels may undergo immediate graying or blanching, or they may temporarily exhibit a slight purple or red colour change. The blood vessels will fully or partially fade in about 10 to 14 days. A personal evaluation will be provided during a follow-up appointment with your medical practitioner. We usually recommend one to four treatments as an average repeat series. These treatments may be performed every 3 to 4 weeks. Any darkened lesions should be left intact, in order to avoid possible scarring. Refer to the post-treatment care instructions provided by your doctor for more detail. Vein removal treatment is ideal for spider veins and the deeper reticular veins on your legs. Depending on the size of the area being treated, treatment can take just minutes. Typically, treatments are no longer than 30 minutes. Many patients experience immediate improvement in the appearance of their leg veins following the treatment. Improvement will continue over the next week or so. A series of treatments may be needed to fully clear blood vessels and reduce the appearance of the leg veins completely. Typically, from 1 to 4 sessions are needed to achieve the desired results. Patients describe a range of sensations from a slight tingling to the snap of a rubber band against the skin during the procedure. You may also feel warmth during and after the procedure on the area that was treated.